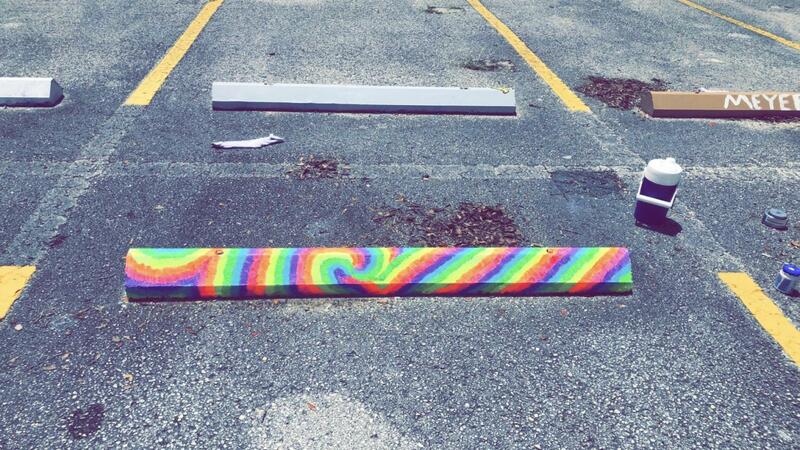 Many FHS seniors have taken advantage of being able to paint their parking spots. FRIENDS TRIBUTE Jenna Morley decided to paint her parking spot as a tribute to her favorite TV show, Friends. 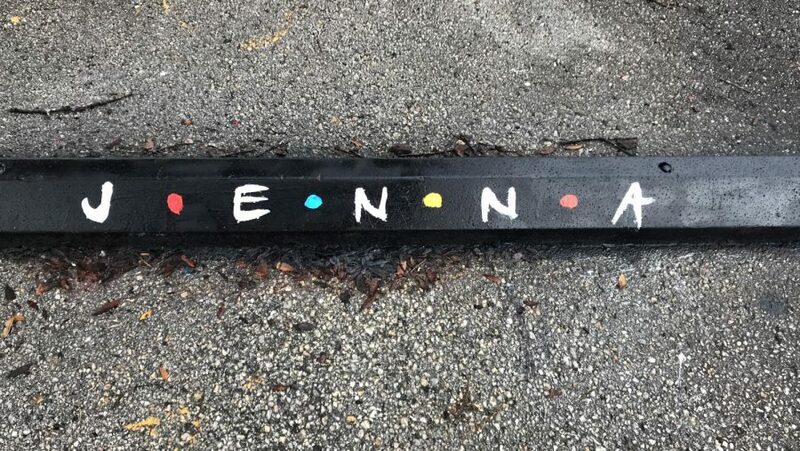 This year is the second year seniors at Freedom High School have the opportunity to personalize their senior parking bumpers by painting them. Over one hundred students have taken advantage of this opportunity, decorating their spots with nicknames, favorite colors, and other interests. TKAM! Tyler Kamsler decorated his parking bumper with his nickname, letting everyone know where he parks daily. 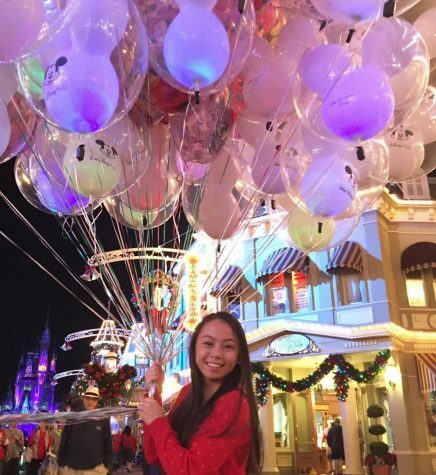 Students have found inspiration from other aspects of their life, as well. Florida’s problematic weather isn’t the only dilemma for some seniors. Unlike last year, when everyone painted their spots on the same day, seniors this year have the freedom to come in anytime to paint them. However, this is an issue for some students who haven’t found time to paint theirs yet. 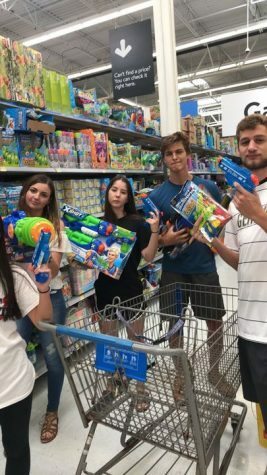 “I haven’t painted my spot yet because I’ve been busy outside of school with cheer and work, and it has been raining nearly every day,” Nicole Bogdanoff stated. 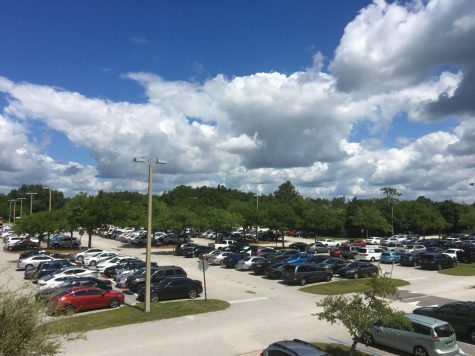 BRIGHT, BUT BURNED Alana Salgado spent 4 hours designing her parking spot, which resulted in getting sunburned. 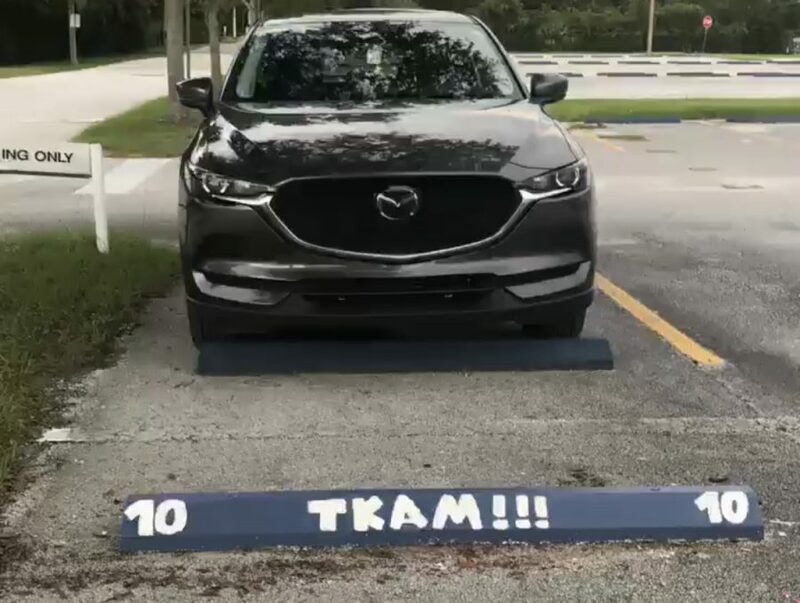 Despite any complications, seniors have had fun being creative in designing and painting their parking spots with friends.